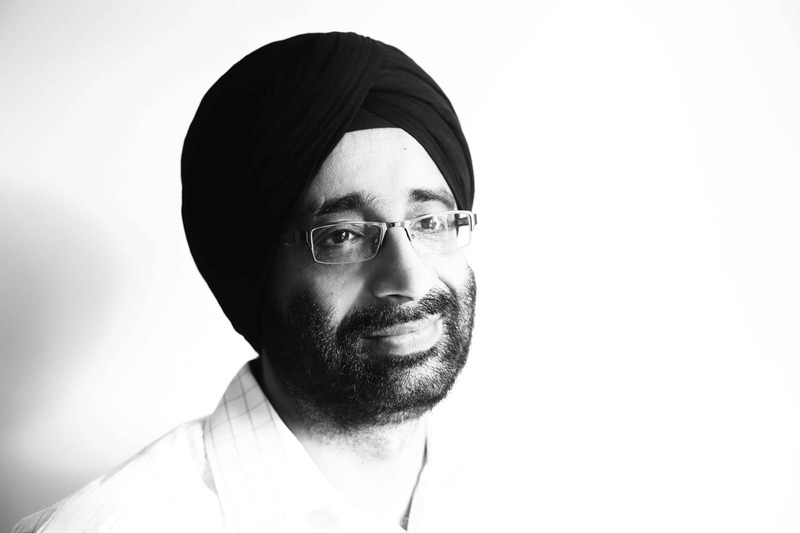 One undeniable trend that we are seeing across India is the extraordinary explosion in Internet adoption. India has become the world’s second largest internet user base according to the Mary Meeker 2016 Internet trends report1 released in May 2017. A recent report2 by the Internet and Mobile Association of India (IAMAI) and IMRB puts the number of mobile internet users in India at 389 million, as of December 2016. This is number is expected to climb to 420 million by June 2017. The majority of this growth so far has come from the cities. Urban India has close to 60% internet penetration, as opposed to rural areas which have just about 17% penetration. 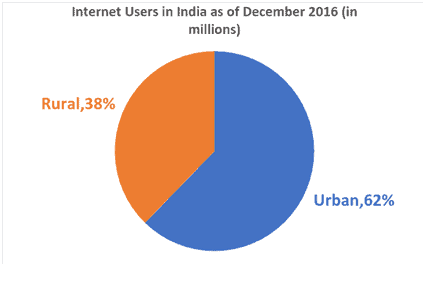 Out of the 432 million internet users in India as of December 2016, 269 million are from urban areas, while 163 million belong to rural areas. As the IAMAI and IMRB report rightly states, future growth policies must focus on bridging the digital divide between urban and rural India, given that there are still 750 million potential rural users who must get access to the internet. Non-urban areas have already emerged as the biggest growth drivers for Internet adoption. For the period October 2015 to October 20164, rural India witnessed around 26% growth while urban areas grew at about 9%. By 2020, about 315 million Indians living in rural areas will be connected to the Internet, compared to 120 million at present. By 2020, the share of rural India will jump to 48%, creating a huge opportunity for brands and marketers in places where establishing a physical presence is still a challenge, according to a study5 by the Boston Consulting Group (BCG) titled ‘The Rising Connected Consumer in Rural India’. across 24 cities in India, we found that there is remarkable clarity among SMBs on the need of using technology; although people are still not clear on the ‘how to do it’ part. Across all verticals and locations, we see that small and local businesses are adopting smartphones especially for better customer engagement. Also, the popularity of .com remains7 intact, with about 72% of SMBs in India preferring .com over any other domain extension. 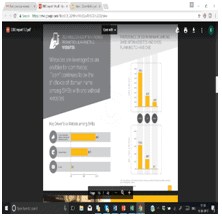 Customer centric technology adoption: There was a willingness to invest in technology tools across the business process withprimaryfocus on engaging customers. Overall, there is incredible enthusiasm to explore social media. For example, we found a gentleman who was effectively using Whatsapp to display a range of Kirpans at his store. Similarly, a second-generation entrepreneur and restaurant owner is using social media and Whatsapp to engage customers, a practice that is not followed by his family’s non-tech-savvy textile business. 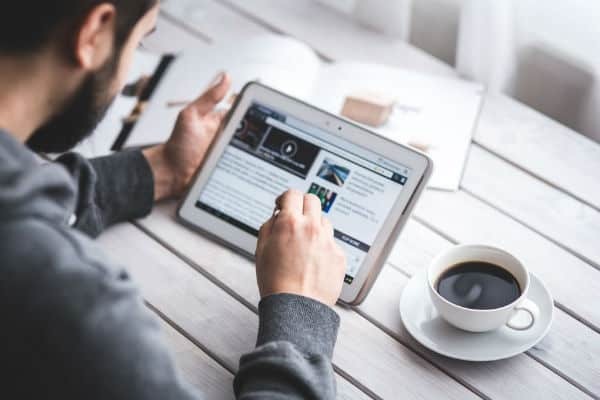 Growing interest in websites: The primary driver for website adoption among SMBs is the need to communicate about their offerings to existing and potential customers (95%); SMBs also show a propensity to drive commerce using their website. A third of the SMBs use technology tools such as websites and email marketing while the rest continue to use traditional methods such as wall paintings etc. Naren, a coffee plantation owner in the district of Kodagu, Karnataka, was surprised that people indeed search for coffee online. It came as a pleasant surprise for him when his newly-built website attracted 19,000 visitors. As mentioned earlier, .com continues to be number 1 choice of domain name extension among SMBs, irrespective of whether or not they currently own a website. Language barriers: Given that it lends itself well to visual communication, the Internet has helped overcome language barriers at a national level. For example, we found a person who works in the Fisheries Union Office in Karwar, uses Whatsapp to send pictures of available fish to agents across various states in India, sometimes even to avoid a confusion due to how many names each variety of fish is known by in various dialects. The rural population faces several impediments to ‘being online’ including lack of digital literacy, the cost and quality of digital access and cultural taboos preventing women from accessing smartphones. Despite these odds, we see overwhelming drive to use the Internet to gain better learning and business opportunities. To truly drive rural Internet growth, a twofold effort is needed. One, we need to improve the rural Internet user experience by improving the quality of Internet available across all demographics. On the other hand, there is a need to invest in education and digital literacy, including the importance of using a reliable domain name such as .com and .net. Given that the seven north-eastern states have 200,000 micro, small and medium enterprises (MSMEs), as per a report8 by the International Finance Corporation, it undoubtedly has tremendous potential as an important investment destination and a centre for trade and business. By leveraging the Internet effectively, SMBs in the northeast can potentially overcome some of its traditional challenges and get firmly on the growth path.